For the past week or so I’ve been trying something new. 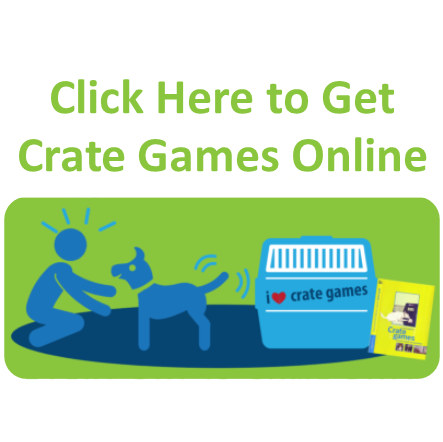 It’s no secret that I love playing games with my dogs and I love seeing dogs learn through games. There’s a lot of dog training information that I’ve wanted to share with you that I’m confident you would be interested in, so I thought … “why don’t I teach the dog training with a game for people?!”. And that’s what we are doing right now. It’s a first for us (a first for anyone online). Here’s a quick video I put together to let everyone know what we are doing. Not only do we want you to enjoy the game and the dog training, it’s you who help us make things better and better, and it’s you who inspire us to keep trying new things. Whether you’re interested in playing the game or you just want the education, it does not matter, we would love you to be part of this new adventure online (it’s free and everyone is welcome). Here’s an overview of what we have for you so far and you can easily access everything via the Agility Play Page … there’s more coming, and it is relevant even if you don’t do agility. Two in-depth “Mastery Insights” sessions, with two more to come. Mastery Insights #1 – We look at the 5 commonalities of the TOP agility dogs in the world. The real learning from this is determining your “agility blind spots” (that are also strengths!). The insights can be applied to anything you do with your dog to protect your confidence and your dog’s too. Mastery Insights #2 – This is all about dog training and creating clean cues. There are a lot of ‘new’ insights in this video and I shared a snippet of a video conversation that I had with my mentor, Bob Bailey, earlier in the week about adding cues to behaviours. It appears that the brief 2-minute exchange between Bob and I has blown a few minds out there! These are recorded and will be on the Agility Play Page for you asap after we are live. There’s more to come! Live Recording #1: All about mindset and for all we do with our dogs, not just agility. You will learn why “collecting your crap” is a GREAT thing to do, and also how to create a “Vision Board” (and a big shout out to everyone who has embraced this, there has been some amazing sharing). Live Recording #2: This Live follows on from Mastery Insights #2 and my conversation snippet with Bob Bailey. We look at Cue Creation ~ Adding the Pause. No matter what you do with your dog, this learning can be applied. Live Recording #3: All about how our agility dogs decide what obstacle to take next when on course! This is a ‘must watch’ if you do agility. NEW videos on “Transfer of Value”, “The Arousal Curve” and the “5C Formula for Success” … the fundamentals of dog training. An encore of “Tater – The Backside Jump Foundation Sessions” from the VIA Summit. In Mastery Insights #2, Tater joins us as demo dog again along with Momentum. 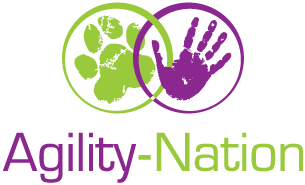 It’s all on the Agility Play Page for you, and we would love for you to join us for the dog training learning. Tater returns as a demo dog, and is joined by Momentum too. There’s something for everyone in our new online adventure. Today I am deeply grateful for everyone joining in, seeing the potential, embracing something new and taking on the learning!